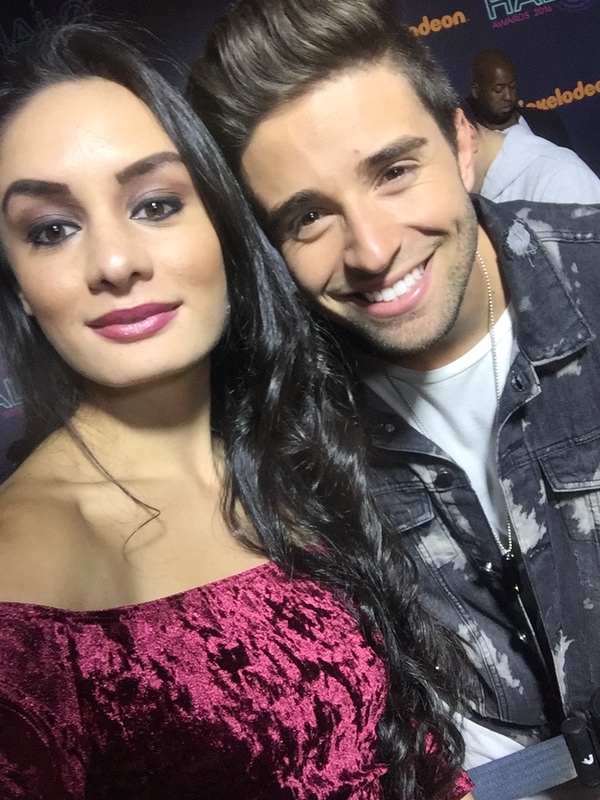 VIPAccessEXCLUSIVE: The Phenomenal Jake Miller Interview With Alexisjoyvipaccess At The 2016 Nickelodeon HALO Awards! We don’t even have to think about it overnight because our love for Jake Miller is instantaneous. Jake Miller is, without a doubt, one of the most talented and gifted musicians that has ever walked on this planet. He works endlessly to give fans the very best whether it is through his spectacular songs that we have playing on constant repeat, or his terrific, creative, and artistic music videos, or leaving us all absolutely and completely mesmerized whenever he takes on the stage during his unforgettable performances. Just recently, Jake Miller brought out his extraordinary EP titled, “Overnight” and it has been everyone’s obsession ever since its release. All of the songs off of his EP are absolute masterpieces, each with their own exhilarating, electrifying, and harmonious beat to it. Music can touch the lives of individuals and Jake Miller’s music truly does just that. His music can make people feel a rush of happiness that leaves everyone on Cloud 9 for the rest of the day. His music can make a person fall in love or believe in love again. His music has and continues to change the lives of many people in more ways than imaginable and that’s how you know he is more than just an exceptional musician, he’s one that is making the greatest impact in the entertainment world. In addition to being one remarkable musician, Jake Miller is also one of the most genuine and down-to-earth individuals you could ever possibly meet. People say that fame can change you, well for Jake Miller, it has changed him to become even more of the outstanding and humble person he has always been. Despite all of his unprecedented and incredible successes, Jake Miller remains true to himself, to his roots, and to his fans. It’s clear to see that Jake Miller is truly an asset to the music world and he is definitely a musical legend. I, Alexisjoyvipaccess had the greatest honor of covering the renowned, prestigious, and inspiring 2016 Nickelodeon HALO Awards for the third year in a row and had an excellent time catching up with and interviewing the brilliant Jake Miller again at the event. Jake Miller dished exclusively to Alexisjoyvipaccess all about the creative process behind his amazing EP “Overnight,” what are some of his tour must-haves, what his favorite thing is about his awesome friend, Olympic gold-medalist Simone Biles (who is the lovely leading lady in his “Overnight” music video), and so much more only in our VIPAccessEXCLUSIVE updated interview. Jake Miller even took on a fun speed round and spilled on something fans may not know about him, what his favorite song is at the moment, and more – hear what he had to say in our VIPAccessEXCLUSIVE updated interview below. Thanks for another fun interview, Jake – always an honor interviewing you! Check out my VIPAccessEXCLUSIVE updated interview with the stupendous Jake Miller at the 2016 Nickelodeon HALO Awards below! The Nickelodeon HALO Awards is the only award show of its kind that celebrates kids who are doing above and beyond to change the world we live in for the better and encourage everyone that you too can do the same. The 2016 Nickelodeon HALO Awards airs on Sunday, November 27th at 7:00 PM ET / PT on Nickelodeon. Follow Nickelodeon on Twitter: @NickelodeonTV and join in on the conversation by using #HALOAwards! Previous VIPAccessEXCLUSIVE: The Extraordinary Jacob Whitesides Interview With Alexisjoyvipaccess At The 2016 Nickelodeon HALO Awards! Next VIPAccessEXCLUSIVE: Singing Sensation Alessia Cara Interview With Alexisjoyvipaccess At The 2016 Nickelodeon HALO Awards!